For more information, please see individual year group pages. We want our children to be successful learners, confident individuals and responsible citizens. We encourage and support each child to achieve their very best. We aim to create an atmosphere of trust, challenge, openness and respect which encourages an enthusiasm for learning and critical thinking. Through an active curriculum we encourage children to explore, take risks, investigate, be creative, and discover the world around them. They are supported to respond to challenge within a learning environment that is secure, enjoyable, and sensitive to individual needs. We give them time for independent thought and action as well as time to work together. We help them to take responsibility for their own learning through shared and clear learning objectives, success criteria and targets. We encourage positive self-esteem by providing challenging, achievable learning experiences. Careful assessment ensures a personalised approach to teaching and learning. Diversity and individuality are celebrated, reflecting our commitment to equality of opportunity. Cross-curricular links are made through carefully planned topics. Learning is achieved through practical and enquiry based activities, as well as whole and small group teaching sessions. Mathematics is essential in everything we construct, everything we calculate and almost every problem we have to solve in our everyday lives. This is reflected through the whole school, where the use of mathematical knowledge, skills and understanding is integrated into practical activities, meaningful problems and our topics. 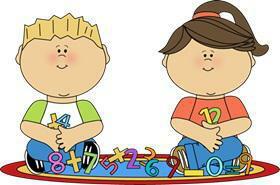 Children develop their knowledge and understanding of mathematics as they progress through the school. Resources are available to children to help them learn, develop and apply their understanding of the subject. For our Reception aged children the emphasis is on practical experiences and the use of everyday objects to ensure the children develop a secure foundation upon which to build. Key mathematical vocabulary is introduced and used throughout, applying it to everyday experiences. In Key Stage 1, the national curriculum programme of study for mathematics is followed and each year group covers work suitable for the needs and abilities of children within the class. We teach maths in a very practical manner using a concrete, pictorial and abstract approach to the teaching of concepts and skills. We follow the White Rose Maths programme and support our teaching with Power Maths resources. By the end of year 2 the full programme would have been delivered. Each class covers mathematical content in daily maths sessions and through their topic work. We want our children to love books and to read for enjoyment. To achieve this, we offer a wide selection of reading books and use a broad range of texts in lessons across the curriculum. Children are also encouraged to enjoy our well-stocked and welcoming library. 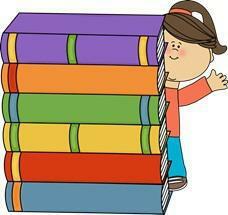 Reading skills are taught daily in whole class, group and individual reading activities. Our children also enjoy visits from storytellers and authors, trips to the local library, special book weeks, book sales and reading challenges. All children in Reception and Key Stage One have daily phonics lessons. This is based on a systematic phonics programme called ‘Read, Write Inc’ which teaches children to recognise the different letters and their sounds and to link each sound to a written letter (grapheme). Once children are confident with this, they are taught to blend and segment sounds to help them to read and spell words. Our phonics lessons are taught in a multi-sensory, fun way that our children really enjoy.